If your outdoor activity will take you away from home or camp for a day, you’ll need a daypack. Our award-winning daypacks are outfitted with a hydration bladder and top, front, bottom and side pockets to handle all your trip essentials. After all, you can’t fit everything in your pockets. All daypacks are cleaned and sanitized after every rental, every time. Pack rentals include a rain cover to keep your things dry when times get wet. 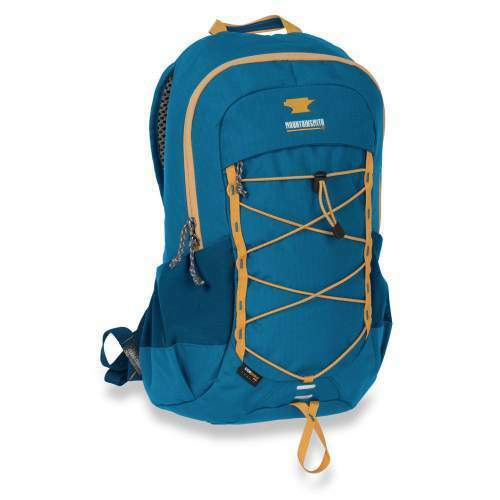 Rent a day pack backpack to carry everything you need for a short hike or quick travel. The Mountainsmith Clear Creek 18-Liter Daypack carries a 3-liter hydration bladder and a remarkable amount of gear (up to 25 lbs). With dual outer pockets, a bungee attachment on the front and plenty of stash pockets, you are ready to hit the trail! Mountainsmith designed this day pack backpack with versatility in. You can summit a 14er or hike a local trail with the family. The pack carries more than you think and it has great ventilation with its Anvil Airway back panel. This pack is adjustable to fit almost any torso and body size.